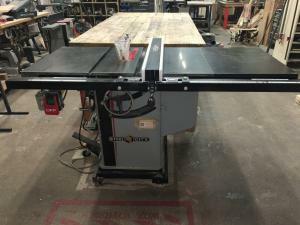 Steel City Granite Bed Cabinet Saw - 10" blade. Do not disable the outfeed dogs, riving knife or the plastic blade guards unless you absolutely know what you are doing. Eye Protection, Ear protection, push sticks. Bought by Diyode from Normand Tool in Cambridge. 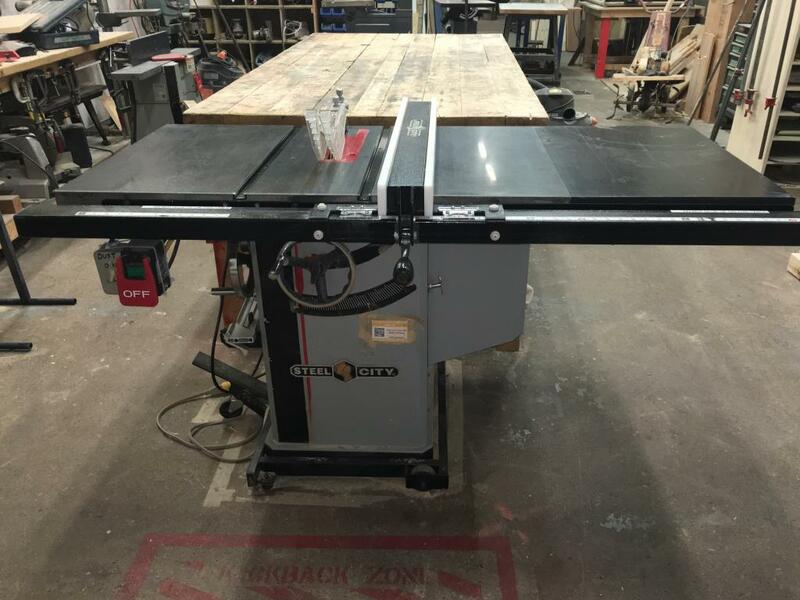 New member Mike Lemieux was using the table saw and couldn\'t get the angle adjustment to adjust from vertical position, the handle turns but the blade doesn\'t move. Mike also cleaned out a pile of sawdust from the machine; perhaps a reminder at the meeting for members to clean up after using the tools, including inside, under and around them.